Please share far and wide! There is actually a "International Journal of Food Microbiology"
Once again, the results of this paper demonstrate the power of natural fermentation to select for beneficial and useful microbes from amongst the motley crew of bacterial species present in variable raw materials. 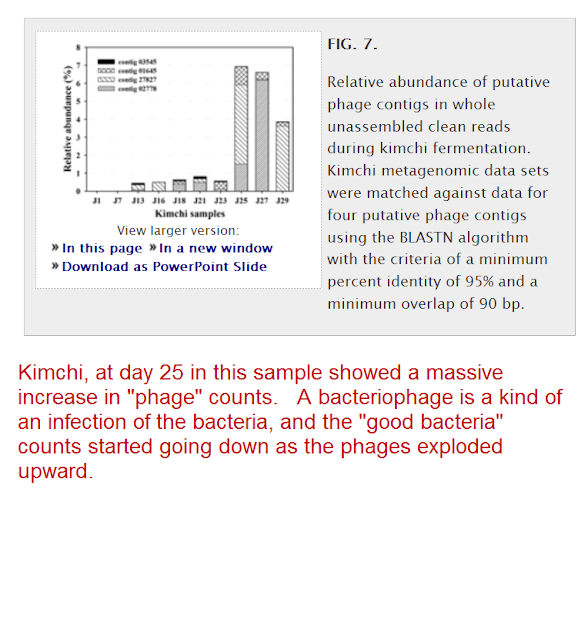 The low final pH of kimchi is very strongly selective for LAB, which probably accounts for the fact that no commercial starter cultures have been required or developed for this extremely popular food, even up to now. 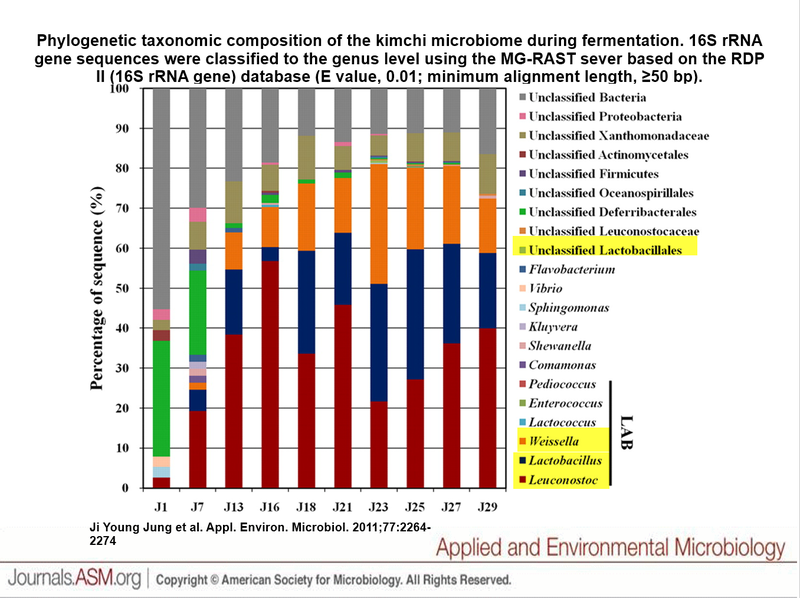 At the beginning of the fermentations, there were a large number of bacteria present (between 10^4 and 10^5), representing a very high diversity of organisms (including significant amounts of spoilage and ‘undesirable’ organisms, such as Enterobacteriaceae and Pseudomonas). The process by which useful microorganisms come to dominate the mixture and exclude the undesirables is a fascinating and important one. While many of the organisms present at the beginning do not survive the fermentation, it would be interesting to know where they are coming from (what proportion from solar salt? spices? the vegetables themselves? ), and if any of their metabolites or enzymes affect the flavours of the finished kimchi, even if the organisms themselves are long gone by then. This is a tough read, very scientific and specialized. Head's Up! Will the Volcanos Come Back to Life In Hawaii? Unusual, Large, Earthquakes! Provide Attribution and a link back for all materials . Simple theme. Powered by Blogger.